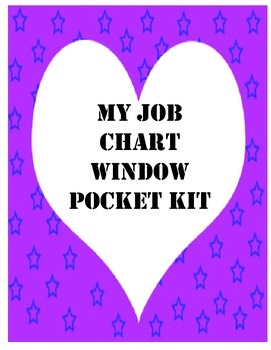 Blank job chart window pockets with blank properly sized name tags for you to add your own job choices. 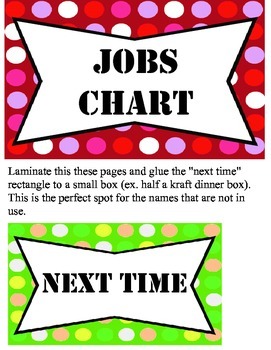 This chart is targeted at junior grades. 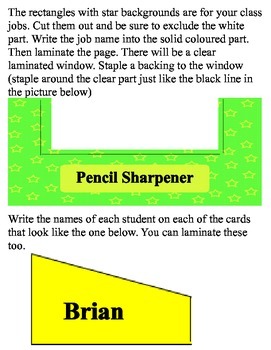 Because they are blank, they can be used for reading groups, centers or your daily schedule. PS. This is a zipped file including: the PDF with job names, a completely blank set in PDF for you to write your own, and an editable .doc file. hopefully the doc file will note jumble up. (I use a free program called kingsoft writer. PPS. 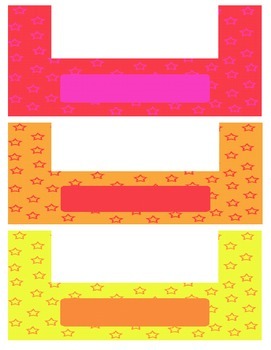 I used a font called Stencil for the job list.